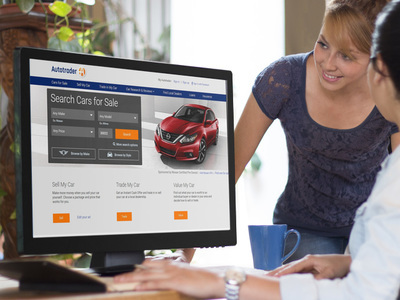 Autotrader, the industry’s most influential listing site1, claims the most traffic among its competitor third-party car shopping sites2 for the nineteenth consecutive month, according to comScore Media Metrix®February 2017 ratings. However, with quantity also comes quality, and the long-standing traffic leader is delivering unparalleled value to its dealers. All leads are not created equal. Autotrader focuses on driving real car buyers to dealer lots, influencing more qualified and ready-to-buy customers than any of its competitors, outperforming CarGurus, Cars.com, TrueCar and Edmunds. In fact, twice as many actual car buyers used Autotrader during the shopping process than CarGurus, according to the 2017 Car Buyer Journey Study conducted in coordination with IHS Automotive. The higher propensity to purchase is measured scientifically by observing digital behaviors, known as “buying triggers,” which indicate that a shopper is very close to making a purchase at a dealership. Buying triggers go beyond emails or phone calls, and look for information-rich exchanges with the dealership, such as saving a vehicle to a personal shopping cart using Autotrader’s helpful Save Car tool, clicking on directions or a map to a dealership, initiating a chat session or text message with a dealer or submitting criteria to receive an Instant Cash Offer on a trade-in. Autotrader is leading the way to establish greater transparency for dealers to eliminate having to pay for hollow or inflated leads – user activity that is repetitive, exploratory or aspirational, and not motivated by serious intent to transact. The third-party car shopping leader is investing in the latest data science and analytical capabilities and turning them into simple, mobile-friendly tools for its clients to quickly gauge information and make business decisions. This sophisticated approach also makes it easier for dealers to understand the extraordinary value and return provided by Autotrader. 2 Defined as: Autotrader.com, CarGurus.com, Cars.com, Edmunds.com, and TrueCar.com.